I have this affinity for all things French: my favorite shoes and clothing brands, macarons, Paris…So I was really excited to try Chef du Partie, or CDP, with my favorite travel buddies. Chef du Partie means line or station cook, and is third in command in the kitchen, after the head chef and the sous chef. As the name suggests, he is in charge of a particular area or department of production. Well, I don’t know why the owners named this quaint little resto in Rockwell Chef du Partie but it’s French so count me in. 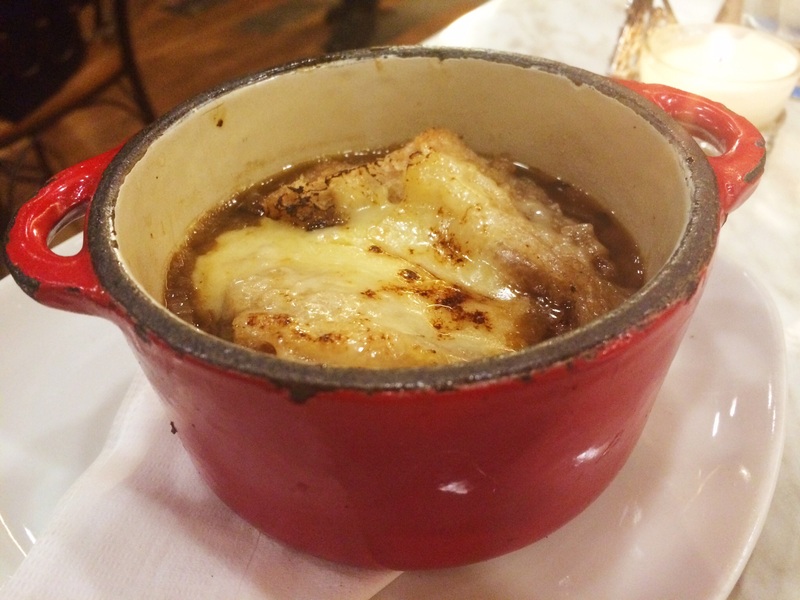 I have been craving for French onion soup for the longest time but sadly, there aren’t that many places serving a decent version of this. 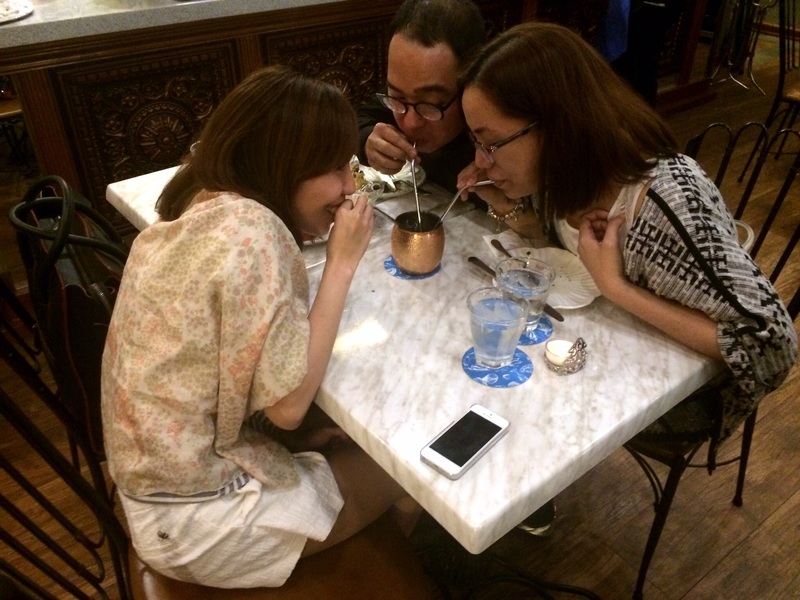 My favorite is from Cafe Adriatico but the nearest one is still quite a drive away. Imagine my happiness when I got to CDP and found that my friend Leah had ordered this particular soup for us (we’re both light eaters so we usually share). I liked that it’s not very thick and overpowering, and while it is onion soup, there was enough mix of cheese and soup that I didn’t feel choked (some restos tend to overdo their onion soup). 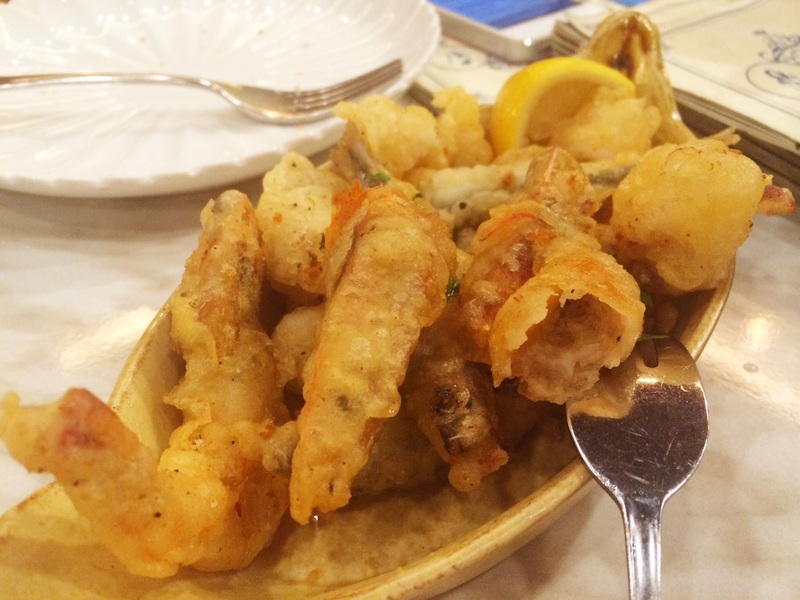 For starters, we got the Fritto Misto, a plate of fried tawilis, squid and shrimp. I am forever a fan of these three – allergies be damned. And for someone to actually combine them in one plate? Psychic. Aside from the obvious love at first bite, I loved that the taste of each individual ingredient wasn’t overpowered by starchy breading. I wish I had a plate of boiled spinach though – I always eat my tawilis with spinach on rainy days. Yum. Our next plate was the truffle macaroni. I read somewhere that anything with truffle in it should be approached with caution, and we did. 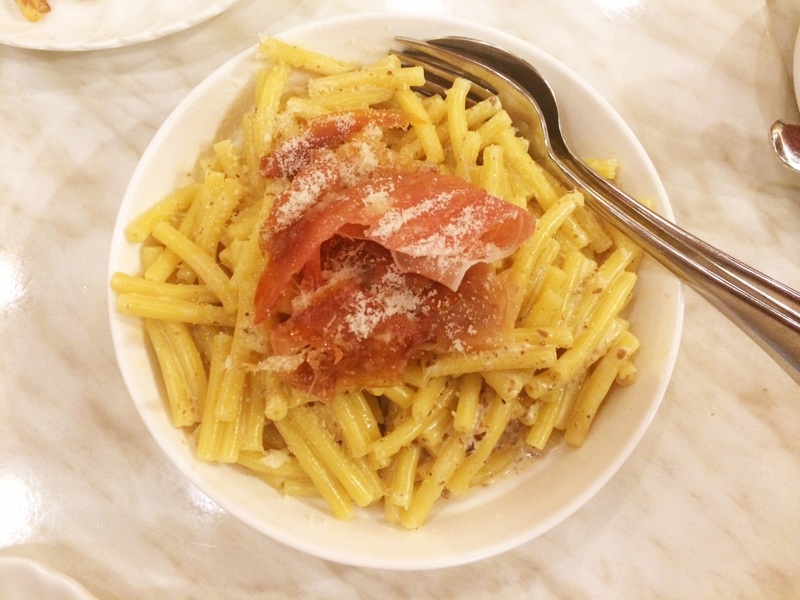 This little dish looked deceptively simple which is probably why we enjoyed it – light flavoring from the truffle paste and cream and the salty dried taste of parma ham. Serving was quite big too, as even with three of us, we weren’t able to finish it. 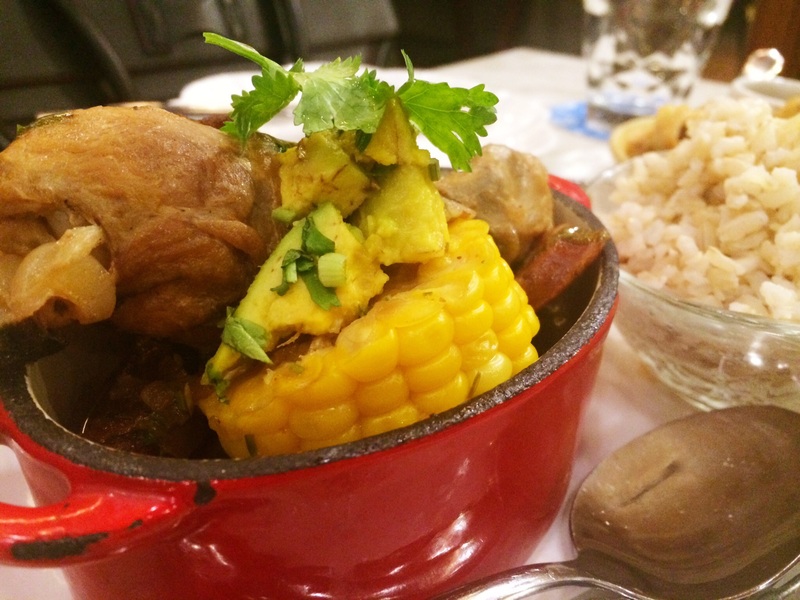 Our main dish, the Sancoccho, was just what your grandmother would prescribe when you’re down with the flu: a big bowl of chicken, beef and pork stew (an updated version of the bulalo with chicken and pork) served with brown rice and avocado toppings. Perfect comfort food. I think we finished this right down to the last strip of meat. This last dish is probably something you would not expect me to eat. To be honest, when one of my friends ordered this, I wanted to protest because I could not imagine myself eating Pig Ear Fries. 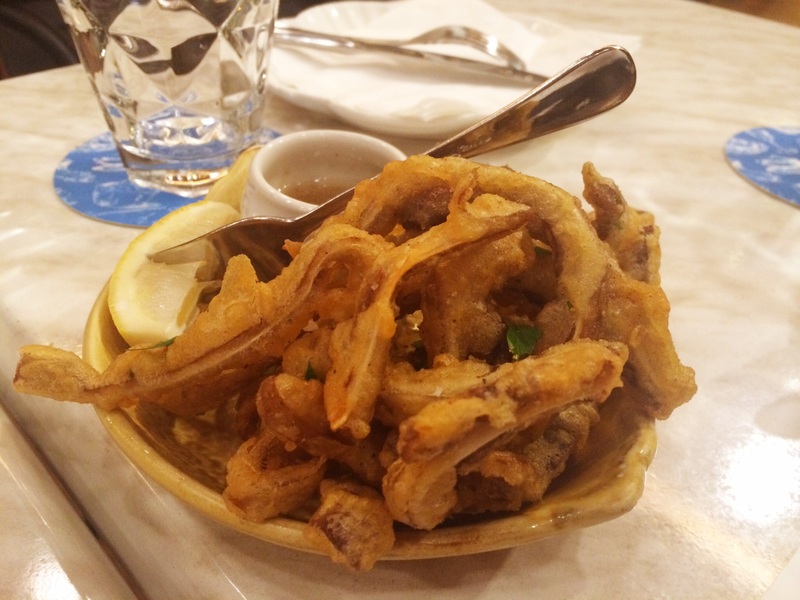 Yes, you read that right – pig ears. But surprisingly, this was the hit of the night. It was crispy, tasty…and a bit moist. While I loved the taste and mixed with the anchovy vinaigrette, it was heavenly, I couldn’t shake off the feeling that I was eating pig’s ears…and all those eeky things inside. Hahaha! I was having a rotten week, and a particulalry rotten day, so qdrinks were in order. Fine, I am just making an excuse to have a drink or teo – ever since our European adventure last summer, we’ve taken to having drinks with our meals. And we were quite interested to taste the cremant-based cocktails at CDP. Cremant refers to sparkling wine that is made following the same method of fermentation as champagne, but using different varieties of grapes. I suppose it’s also a simple way to refer to sparkling wine made elsewhere than Champagne. 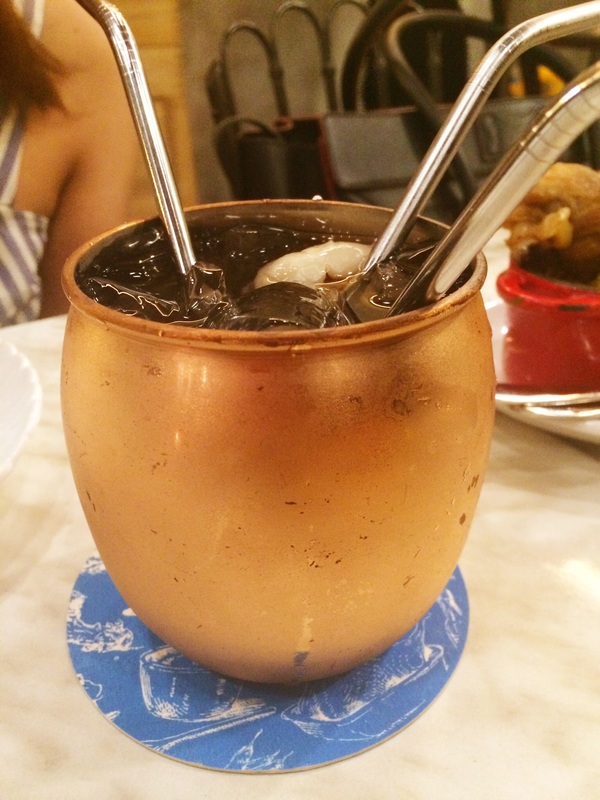 Overall, I loved the casual yet chic setting, perfect for catching up with friends, and the unique menu and drink selection assures you of having somehing new to try – heck, I ate pig ears!